Hello there! My name is Nicole Cochrane and I’m currently doing my music therapy internship in long-term care (LTC). Starting your internship is a daunting task; you are faced with both professional and personal challenges. In order to address some of these struggles I will be sharing a series of blogs consisting of an ongoing case study. In this first blog I will be introducing myself and what I’ll be covering throughout the series. therapists. Here we will follow the progress of a unique client I’m working with. 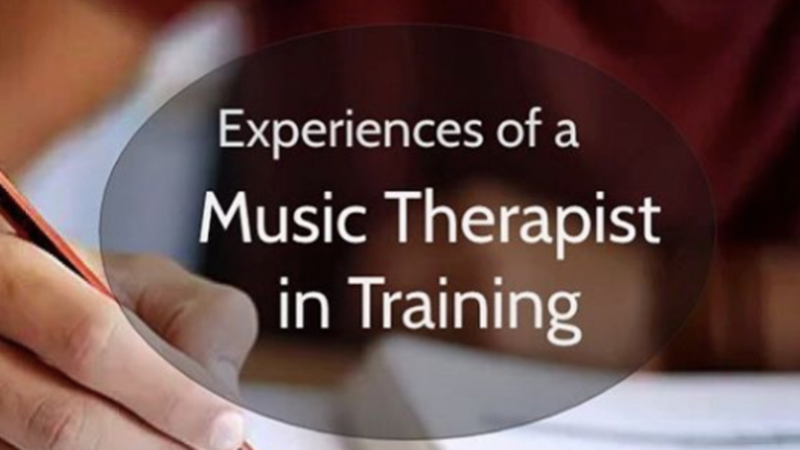 Through this series we will take a look at what makes this client different from other LTC residents, how new music therapists could work through the challenges presented by these differences as well as the relationship between verbal counselling and music therapy. Now, as for the person behind the keyboard: In 2018 I graduated with my Bachelor of Music Therapy from Acadia University in Wolfville, Nova Scotia. In my final year I decided to pursue an internship in LTC because I developed a love for this population while working with them in school. Regarding my therapeutic approach, I tend to lean towards that which is client-centered and humanistic while remaining focused on the enhancement of quality of life. Thus my approach to music therapy compliments the needs of those in LTC. Additionally, I am developing my verbal counselling skills so I can provide that intervention for future clients when appropriate. Until I started my placement, I primarily thought of the LTC population as elderly folks with a type of Dementia. What I didn’t anticipate was the diversity within the Toronto homes. Compared to the residents I interacted with in Nova Scotia, I noticed more variety in regards to their diagnoses, cultural backgrounds, and their general needs. I was pleasantly surprised by this realization because I saw it as an opportunity to expand my skills as a growing music therapist. It is for this reason that I am reflecting on my sessions with Ian*, as they are unique and provide an opportunity to practice interventions outside my current comfort zone. I share this case and my experiences in hopes to inspire other new music therapists to push themselves within their scope of practice, and to perhaps find a sense of comfort in knowing that these struggles are apart of the growing process. In the upcoming series I hope to achieve a few things. First, we will look at what makes Ian unique in the context of LTC and how these sessions look different from my other clients. Second, through sharing my experiences I will provide insight into how new music therapists could navigate some of the challenges of working with a diverse set of clients. Lastly, we will explore how verbal counselling can fit into the context of music therapy. Through this platform I hope to provide a resource for other new music therapists by touching on some of the challenges that arise when starting out in this field.